Footballers are five times more likely to develop the disease that killed Professor Stephen Hawking, a study has shown. They could also develop the disease – amyotrophic lateral sclerosis (ALS) – 21 years earlier than the general population. Head injuries and repetitive impact have been found to be a risk factor for ALS, which has no cure, and many other brain diseases. ALS, which effects the muscles used for walking and talking, has a life expectancy of about three to 10 years, but the world-renowned physicist Hawking lived with the disease for more than five decades. The cause of ALS is not known, but scientific studies suggests that both genetics and environment play a role in the development. The Italian scientists behind the new research will present their findings at a neurology conference in Philadelphia. They reviewed soccer trading cards of around 25,000 male professional soccer players who played in Italy from 1959 to 2000. Researchers recorded the birth date and place of birth for each player as well as soccer position and their playing history with the team, before using news reports to determine which players developed ALS. 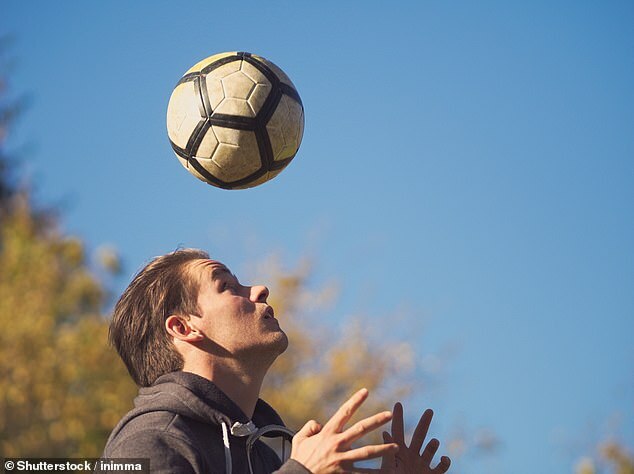 Researchers found 33 soccer players developed ALS, or an average of 3.2 cases per 100,000 people every year. The rate of ALS in the general population, calculated from an Italian population registry, would have resulted in an average of 1.7 cases per 100,000 people every year, making soccer players almost twice as likely to develop ASL. When looking just at soccer players age 45 and younger, the rate of developing ALS was 4.7 times higher than for people in the general population. The average age of developing ALS among soccer players was 43 years compared to 63 years for the general population. WHAT IS ASL, THE DISEASE THAT KILLED PROFESSOR STEPHEN HAWKING? 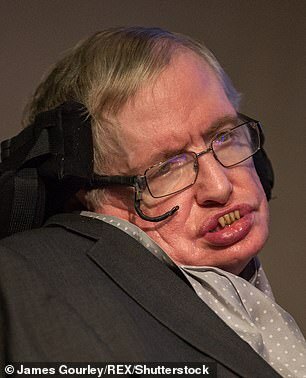 The British physicist, who died on March 14, 2018 age 76, was confined to a wheelchair from his early 20s due to an early onset slow-progressing form of motor neurone disease – amyotrophic lateral sclerosis (ALS). He lost his capacity to speak in 1985, but a voice synthesizer allowed him to continue communicating, and he wrote 15 books and starred in the Simpsons and Star Trek. He was the second very high profile ALS sufferer after Lou Gehrig, the baseball player who catapulted the disease into the public eye. Hawking was something of a medical marvel because he lived with the disease for a lot longer than expected. The disease is a rare condition that progressively damages parts of the nervous system. It occurs when specialist nerve cells in the brain and spinal cord called motor neurons stop working properly – known as neurodegeneration. There’s currently no cure for motor neurone disease. Treatment aims to make the person feel comfortable and have the best quality of life possible. Since researchers studied only professional players, the results cannot be applied to those who play soccer at lower levels of play. Heading is common practice in football, but more concerns are being raised about minor head impacts, which don’t necessarily cause concussion, in sport. It has been a subject of contention for years as more and more studies have suggested repeated impacts can damage the white matter in the brain, which can affect memory and thinking skills, and can lead to brain damage and even Alzheimer’s disease and Parkinson’s in later life. 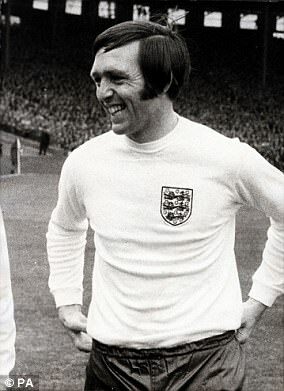 Former England footballer Jeff Astle, who died of Alzheimer’s disease in 2002, suffered from chronic traumatic encephalopathy (CTE), a football-linked brain disease. CTE is one that seems to be particularly associated with blows to the head and doctors said 59-year-old Mr Astle had the brain of a 90-year-old after his career. NFL player Aaron Hernandez also had CTE, which has early symptoms of aggression, suicidal thoughts and mood swings, in the most severe forms ever detected for someone his age. The former New England Patriots star was serving a life sentence for murder when he killed himself in April at the age of 27. A landmark report by the Centers for Disease Control and Prevention in 2012 said NFL players were four times more likely to die from ALS than the rest of the US population. In light of emerging evidence, campaigners and groups such as The Football Association and Dr Bennet Omalu, who discovered CTE, have urged for the ban of younger football players doing headers in training and matches. All sports insist they are doing more to prevent concussions in athletes to protect their brain health, but research by Boston University said it is not a ‘big hit’ that is the problem. It is the experience of repeated subconcussive hits over time that increases the likelihood of brain disease, they said, after publishing a groundbreaking study in January 2018. Former England and West Bromwich Albion striker Jeff Astle (right) died in 2002. He was only 59 but doctors said he had the brain of a 90-year-old after suffering from chronic traumatic encephalopathy (CTE). CTE is a progressive, degenerative brain disease found in individuals with a history of head injury, often as a result of multiple concussions. An inquest ruled Astle died from dementia caused by heading footballs – the first British professional footballer to be officially confirmed to have done so. Astle, who was left unable to recognise his own children, once commented that heading a football was like heading ‘a bag of bricks’. His family set up the Jeff Astle Foundation in 2015 in order to raise awareness of brain injury in sport. His daughter Dawn said ‘the game that he lived for killed him’. Danny Blanchflower, who captained Tottenham Hotspur during their double winning season of 1961, died after suffering from Alzheimer’s disease in 1993. He was 67. His death has also been linked to heading the heavy, leather balls of the 1940s and 50s, along with fellow Tottenham players Dave Mackay, Peter Baker and Ron Henry.